LOVING is a fact based historical drama that's done with an abundant amount of masterful tact, restraint, and filmmaking economy. It achieves an intimacy with its subject matter that's refreshingly atypical for these types of genre efforts, which is of no surprise whatsoever seeing as it's from writer/director Jeff Nichols, who's on a remarkably strong and assured creative streak as of late that hasn't shown any sign of dying down anytime soon. He's developed a reputation for his nonchalant style that places acute emphasis on his actors in films like TAKE SHELTER, MUD, and even this year's criminally overlooked science fiction tale MIDNIGHT SPECIAL. Nichols' disciplined less-is-more hands can also be seen on exemplary display in LOVING, which is arguably his most poignant and carefully modulated human story that he's tackled yet. LOVING refers to both people and a landmark Supreme Court case. Richard and Mildred Loving were an interracially married couple in Virginia in the late 1950's, which was a definite societal no-no considering the state's backwards minded and bigoted anti-miscegenation laws that forbad such mixed race unions. Their marriage was discovered, which led to their prompt arrest and near imprisonment. A plea bargain on their part kept them out of long term incarceration, but the trade off was that they were forced to leave Virginia - and their friends and family - and never return to the state for a quarter of a century. News of their hardships made it to some rather intrepid ACLU lawyers, who were bound and determined to take their case forward to the highest court in the land. Their 1967 Supreme Court case Loving v. Virginia led to the abolishment of a state's right to prohibit marriage based on race. It ended all race based marriage restrictions in the U.S. going forward. Nichols' film is, yes, about this extraordinarily important piece of civil rights legislation that fundamentally changed America, but it's just a cursory element here. LOVING never falls victim to the pratfalls of historical biopics or courtroom procedurals. The actual Supreme Court case is presented in a rather hushed and subdued manner that's placed in the background of the story. Instead, and more compellingly, LOVING is about the Lovings themselves and their trials and tribulations of daring to love one another without any fear of consequence during a relative age when there were severe consequences and penalties for doing so. Lesser films about these people would have followed in formulaic troupes and, worse yet, could have come off a distractingly preachy, but Nichols has none of that. He's not trying to create a piece of beyond-obvious Oscar bait, nor is he trying to paint the film with shamefully manipulative melodrama. LOVING is a simple drama about simple people told with a simple filmmaking aesthetic that just happens to be about large scale cautionary tale that speaks towards its times...and about ours as well. LOVING thrusts viewers with an evocative immediacy right into its story from the very beginning. Nichols doesn't waste any time with needless exposition, nor is he interested in exploring the relationship history of how Richard (Joel Edgerton) and Mildred (Ruth Negga) came to meet and fall in love. The film has a tremendously effective opening scene with the couple enjoying their company on a porch. It's 1958 and Ruth has let her husband-to-be know that she's pregnant with their first child. Obviously, emotions run euphorically high and Richard seems as elated as any man would be with such news, even though both fully realize the social/cultural severity of bringing a mixed race baby into the world. Scenes like this - and many more - in the film have such a low key veracity. Edgerton and Negga create a fully authentic period couple here within the first few minutes of the film; they communicate not with laborious dialogue exchanges, but with knowing glances, body language, and other non verbal cues that real couples use as a form of instant communication. Richard and Mildred are nurtured and supported by their respective families, but the enormity of keeping their union - and Mildred's pregnancy - a tightly guarded secret weighs heavily on them. During their aforementioned and initial arrest they're treated like petty criminals and the Virginian lawmakers are hell bent on making an example of them. Essentially banished, Richard and Mildred are forced to relocate to the more racially tolerable Washington, D.C., but the emotional strain on being far away from their loved ones begins to overrule their happiness as a couple. Even though they live relative happy and fruitful lives and have three children, Richard and Mildred still rightfully feel burned by their state's treatment. At the insistence of her sister, Mildred writes to Robert Kennedy about her whole ordeal, and when this trickles down to the ACLU...the rest is history, but not without an inordinately tough series of legal challenges that threatened to couple with imprisonment and separation from their children. Again, Nichols takes a finely modulated approach here to the underlining material. His directorial style never draws needless attention to itself, which is arguably why he frequently gets overlooked at awards season. He not only harnesses the film's sense of cultural unease and turmoil that typified the period in question with exactitude, but he also creates a fully realized portrait of two human beings that cared about each other so much that they would risk their very livelihoods to see that justice was ultimate done. 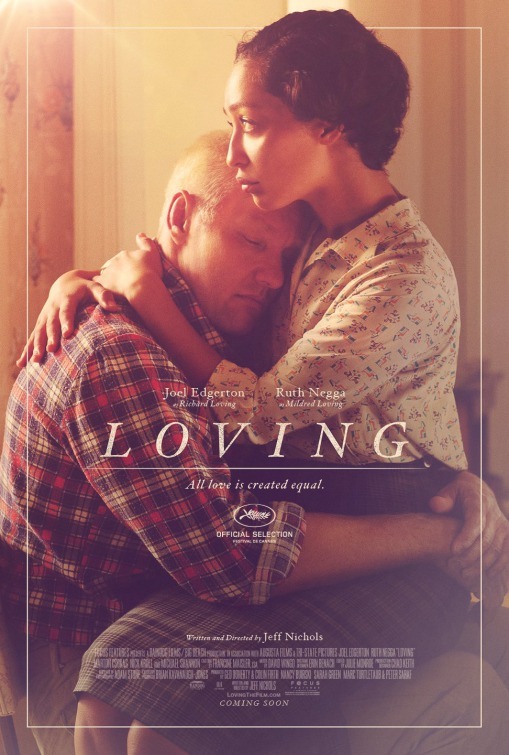 LOVING is a richly tactile film in the sense that the people that populate it don't carry a lot of dramatic baggage that less inspired scripts would, no doubt, be quality of. Everyone and everything has a stark lived in look and feel. The way characters matter of factly interact with each other, the way the film has a painterly eye with the lush and harsh beauty of the rural American South, and the way that Richard and Mildred carry themselves forward with a no-nonsense conviction and perseverance of spirit helps to make LOVING feel like a fly-on-the-wall documentary that respects the characters as much as the audience's patience to observe them. There's nothing unnecessarily flashy about Nichols' approach here; all the narrative and dramatic fat that would still be left on other similar films of this sort is trimmed away here, which makes LOVING feels so considerately rendered and sweepingly authentic. The performances by the lead actors compliments Nichols' predilection for a less-is-more sense of scope and scale. Joel Edgerton is such a fly-in-under-the-radar chameleon as an actor that he often never gets the type of critical recognition that he deserves. It's amazing how very little Richard says in LOVING, but Edgerton fully immerses himself in this gruff, monosyllabic, but deeply caring and honor bound man that will stand by his spouse no matter what the cause. He makes you feel the weight of his burdensome situation without coming out to tell you with potentially hackneyed dialogue. Ruth Negga is just as quietly powerful and Mildred, who displays a lifetime of frustration and sadness just with her soulful eyes alone. Very few performances as of late have been so richly complex and reserved at the same time. Mildred becomes a real hero in LOVING in the sense that she goes on a journey from being an immensely shy and guarded woman to becoming a self actualized cauldron of change. 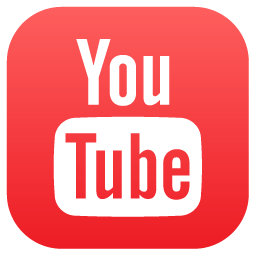 There isn't an instance of false sentiment in Negga's exquisite performance. Like Edgerton, she exists in the moment with an enveloping naturalism that gives the film such a sense of staggering urgency. Edgerton and Negga have a routinely fine group of supporting actors complimenting their cause, and it wouldn't be a Jeff Nichols film without his good luck charm Michael Shannon (who has appeared in all of his previous films) making a cameo, this time as a quirky Life Magazine photographer that's assigned to the Lovings to chronicle a day in their lives (he provides some needed levity in the film amidst its pathos). Thankfully, LOVING never feels exploitative with its subjects, nor is it trying to be another in an awfully long line of prosaically engineered real life courtroom dramas. Nichols seems more vested in inspecting the human side of a monumentally significant court case and battle for marriage equality. It covers a lot of ground and time (refreshingly, Nichols never uses bland title cards like "Five Years Later" to embellish the transitions, as he lets carefully orchestrated montages inform us of such time shifts). Of course, the Loving v. Virginia case was indeed a groundbreaking and important Supreme Court enabled legislation, but LOVING never feels like a dry history class lecture about its events. It's a film that makes us feel like we inhabited the headspaces of those most deeply effected by these key moments in history, something that far too many school textbooks - and many films, for that matter - fail at.